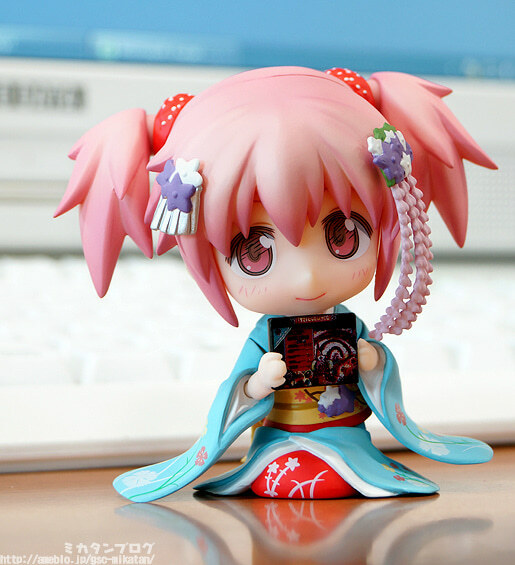 Kahotan's Blog | GOOD SMILE COMPANY Figure Reviews | Nendoroid Madoka Kaname: Maiko Ver. 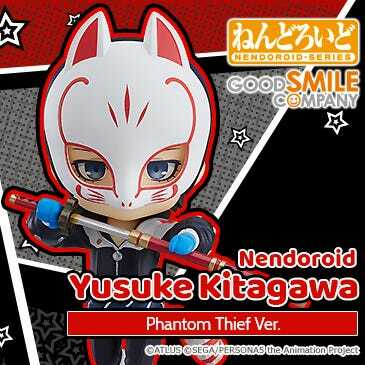 Just like yesterday’s Nendoroid Nana-sama, I’ve really been looking forward to getting my hands on these two Nendoroid samples!! I was never able to take a look at their prototypes, so I’ll be going straight into a sample review this time around! This one photo is enough to show off just how cute she is!! I don’t even think I need to continue with this review! This photo is more than enough to convince everyone to get this one!! Just look how adorable she is!!! However! Making adorable girls look even cuter is my job, so let me get started!! So much different stamp printing must have been needed to create the patterns on each of those kimono parts!! 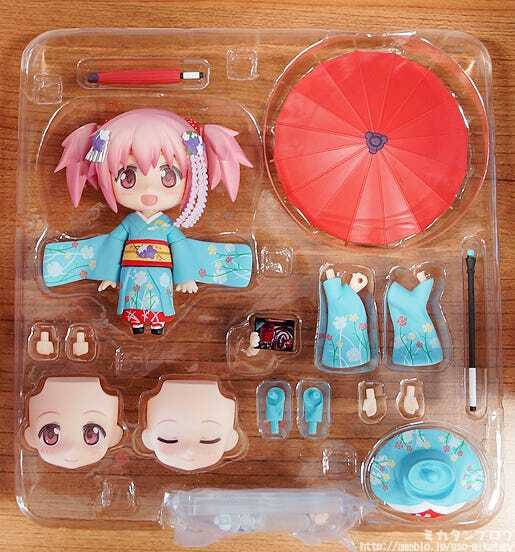 Plus she also has a couple of large optional parts including a Japanese-style umbrella and sitting parts!! None of the official photos actually show this side of Madoka… which is a shame because even her sash has such a beautiful pattern on it!! It makes me wonder how many different colors the kimono alone is making use of!! The right sleeve here is using four different colors alone which means at least four different stamp prints are needed… but if thats just one sleeve then how many are needed on the entire figure?! But the kimono is definitely not the only highlight… take a look at the paintwork of the scrunchies used to tie up her hair! 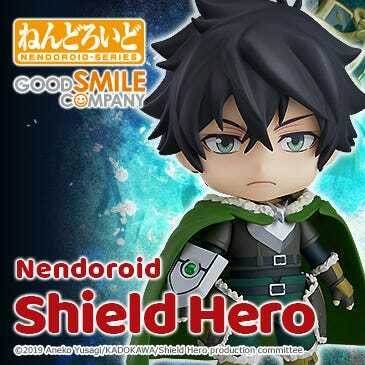 I’m always so proud of GSC for putting so much effort into the smallest details like this! An elegant pose with the umbrella! 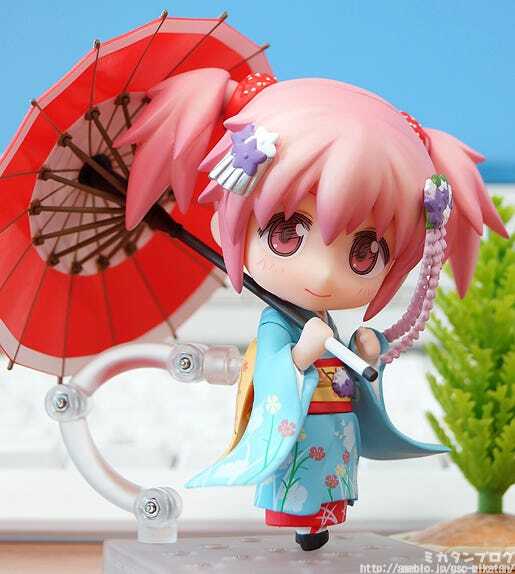 Using the included bent arms you can pose her holding the open umbrella! 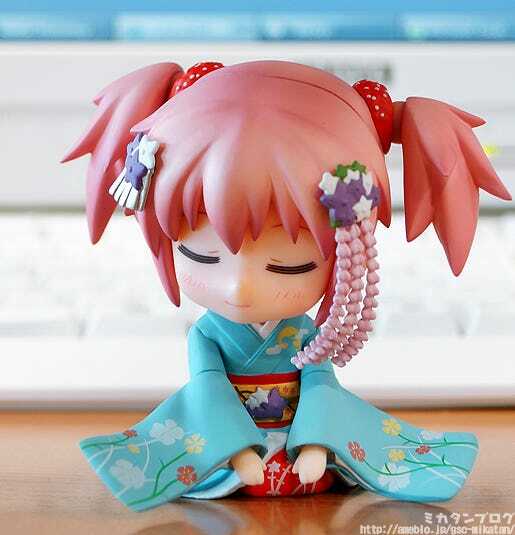 Combined with the smiling expression it creates a really beautiful, gentle pose that suits the kimono-look perfectly! 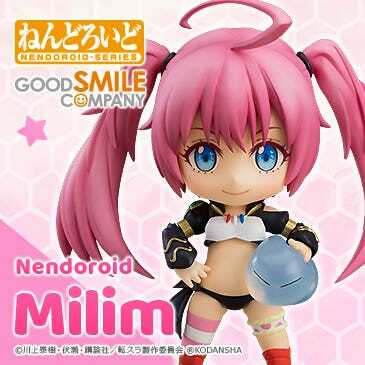 As far as articulation goes, her hips are fitted with a rotating joint allowing for her to twist her hips for various poses, and her feet can also be moved around a little like the above photo, which makes it look like she is walking! As she is wearing a kimono you so the poses aren’t amazingly dynamic, but it’s easy and stress-free to get her into some lovely poses like the one above! A closed umbrella is also included! I always love having choices like this! 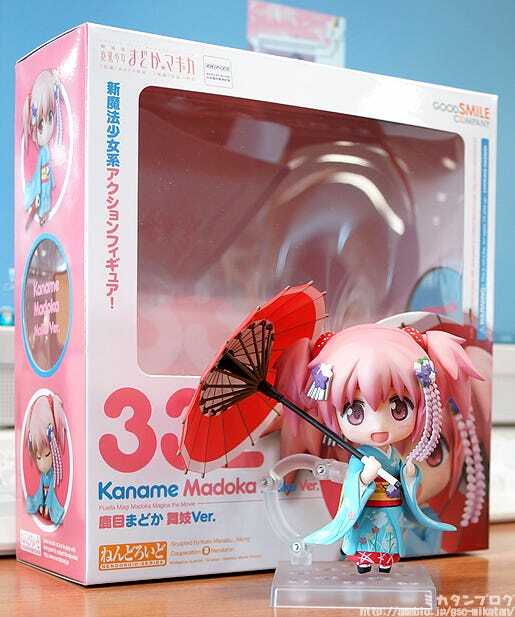 It’s particularly nice for those people who don’t have a lot of space, but still want to display her with the umbrella! 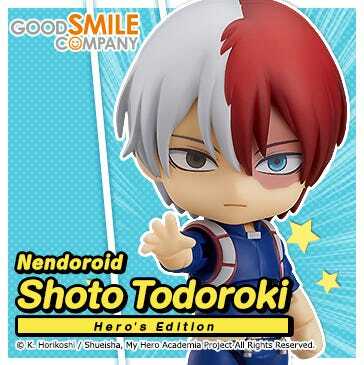 Plus if you swap out the hand parts, you can also have other characters hold it – there are so many different options!! A gentle bow using the sitting parts! 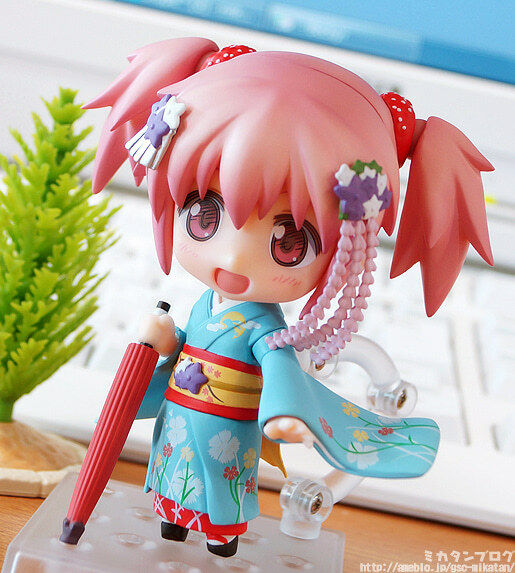 Sitting parts have become a staple of Nendoroids wearing a kimono! 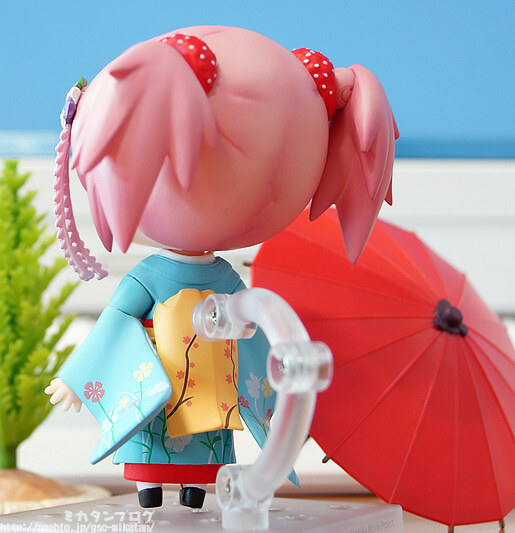 By swapping out her shoulder parts you can also pose her in this gentle pose – bowing down to greet you! Smiling while holding the ‘Grief Box’! A special box filled to the brim with goodies, produced by Gekidan Inu Curry! 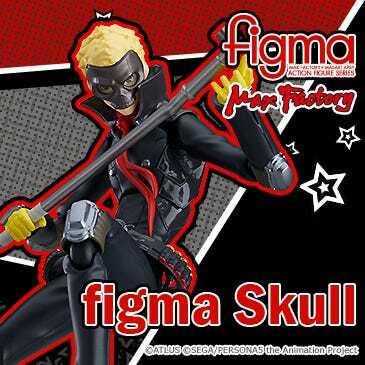 Any fans who were lucky enough to get their hands on this must-have item are probably still amazed at all the goods inside!! 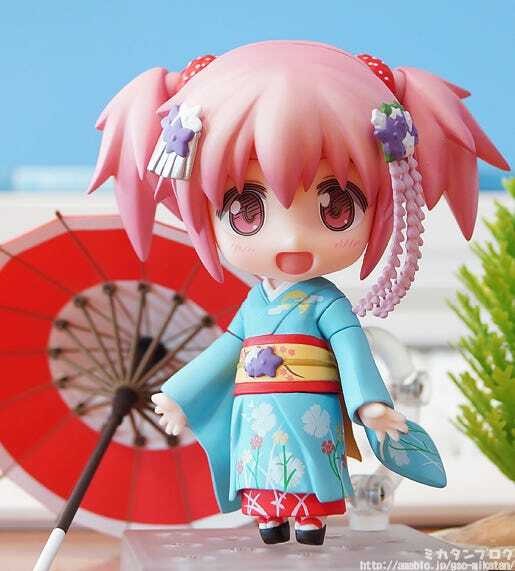 Madoka trying out a white kimono! 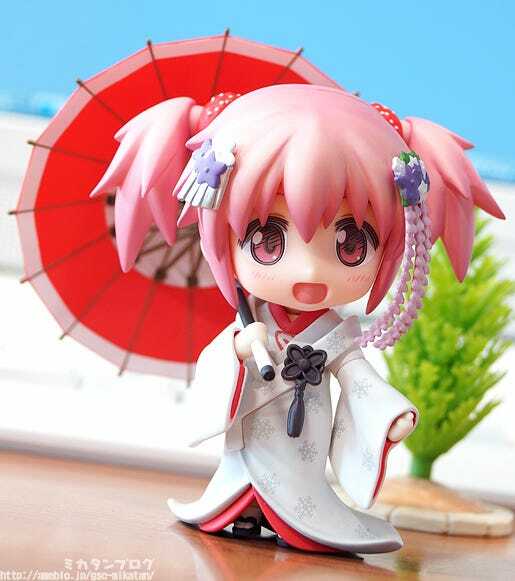 This kimono body of course comes from Nendoroid Snow Miku: Strawberry White Kimono Ver., who is currently being manufactured for all those that ordered her back in February! 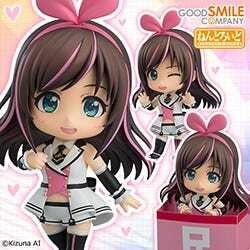 She should be ready to be shipped out to everyone soon, so please be patient just a little while longer! 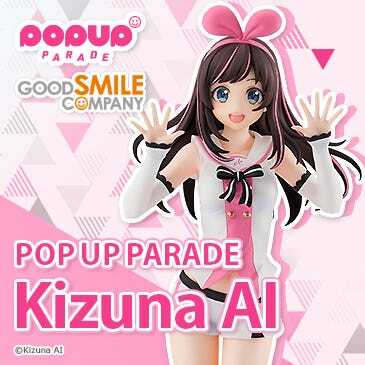 She’ll be on sale first at Japan Expo, Anime Expo and CCG EXPO, with online orders coming afterwards for those who can’t make it to the events! © Magica Quartet / Aniplex・Madoka Movie Project.